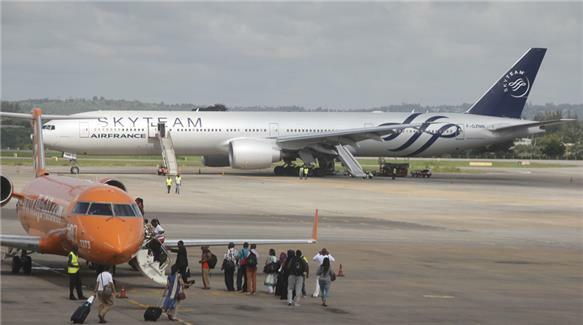 An explosive device was found on an Air France plane that forced the jet to make an emergency landing in Kenya, a senior Kenyan official said on Sunday. Karim Rajan, a Mombasa-based journalist, said the official confirmed that an “explosive device” was discovered in the lavatory during the flight and it had now been “deactivated”. “The airport was sealed off by security personnel after the emergency landing,” Rajan quoted the official as saying. Several passengers were being questioned after the jet flying to Paris from Mauritius landed in the Kenyan coastal city of Mombasa. During the flight a passenger noticed something in a lavatory that looked like “a stopwatch mounted on a box”, an official told the Associated Press news agency. The passenger reported the device to the cabin crew, who informed the pilots, leading to the emergency landing. The official said one of those being interrogated was the man who reported the device. “I cannot understand about what they say. This world is crazy,” one passenger told the media in Mombasa. Washington DC-based aviation specialist Oliver McGee told Al Jazeera that airport security protocols urgently need to be revisited around the world. I’ve been looking using the net quite several hrs currently, but by no means noticed any type of attention-grabbing write-up just like the one you have. It is striking worth ample to me. In my personal opinion, if all web masters and bloggers designed excellent written content resources you probably did, the internet might be much more effective than everbefore.I may book mark this article !! Will definitely read once more !! Thanks to your helpful content.